Workshop Description – Bring work in progress or bring a new project. Lori will demo and give helpful guiding instruction. Thinner and paint medium, as well as easels, are provided. Supply list will be made available. Lori is known for her still lifes, portraits, and landscapes that capture a joyous celebration and a deep reverence for the blessings each day. Largely self-taught, Lori credits Joaquin Sorolla, Nicolai Fechin, and John Singer Sargent as influences that shaped her vibrant and award-winning style. Lori paints plein air throughout the year, primarily in Wisconsin, but her travels have taken her throughout the U.S., to Mexico, and to France. 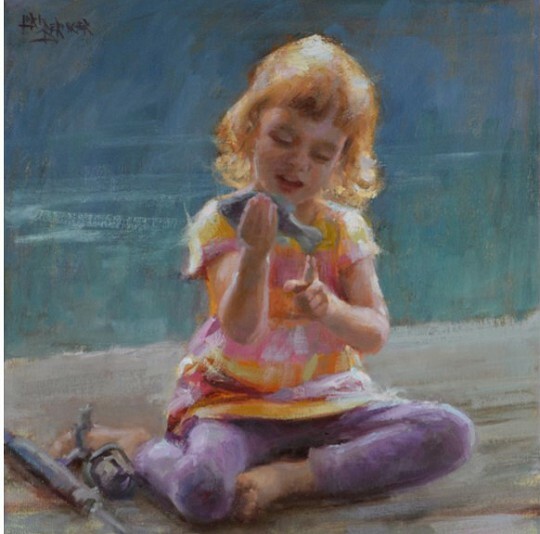 She recently received Portraiture Honorable Mention in the 22nd Juried National Oil Painters of America Exhibition in addition to numerous other awards over the years. She is a master teacher who will excite and inspire the artist inside you. Come and explore with Lori!